This is planned as an extended effort. Issues – and possible solutions – that are identified during the initial conversations will receive more attention following the May primary. Go to https://www.ohio.com/forums or RSVP with reporter Doug Livingston at dlivingston@thebeaconjournal.com or 330-996-3792 to register for the conversation events. Read more about the #ThisIsAkron project in the Akron Beacon Journal HERE. 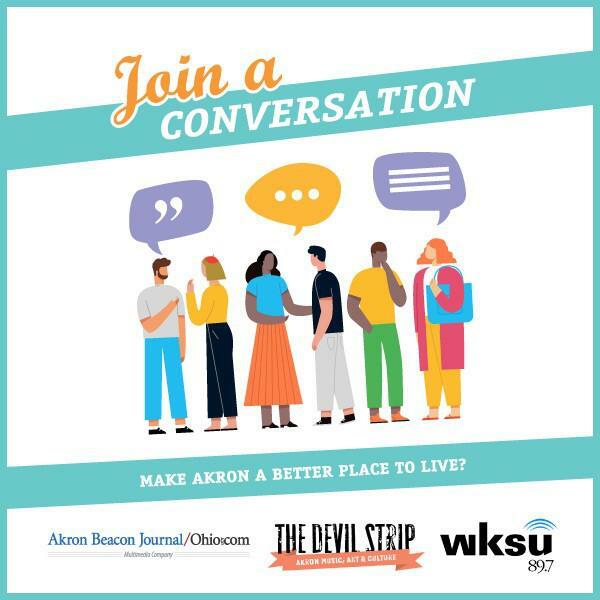 Editor's note: WKSU is partnering with The Akron Beacon Journal and The Devil Strip to cover the city's upcoming election. This story, from the Beacon Journal, is the first in a series. Bucking the trend to move away, Michael Jewell got married and found his forever home in 1975 in the midst of a seismic shift in Akron.